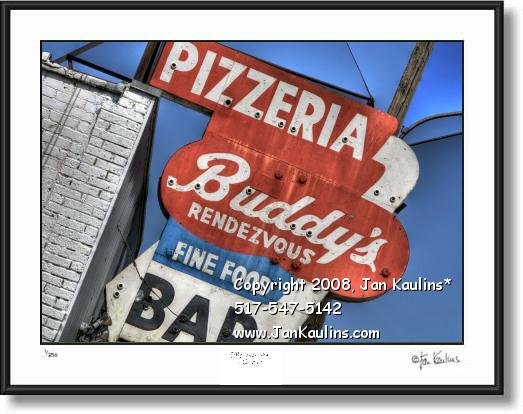 BUDDY'S PIZZA DETROIT photo picture print for sale. Iconic BUDDY'S PIZZA AND BAR Detroit photography art prints picture for sale. This is a multiple exposure portrait of BUDDYS PIZZA Detroit SIGN at the original Conant Street location in Detroit. It is a DETROIT ICON photo picture print for sale. The pizza is locally legendary!